HUNTSVILLE, Ala., May 28, 2015—407 ETR Concession Company Limited (407 ETR), the concessionaire of Highway 407 ETR in Toronto, Ontario, has awarded Intergraph a contract to design and implement an integrated traffic monitoring system to provide Highway Operations group with real-time spatial information of incidents on the Ontario highway. 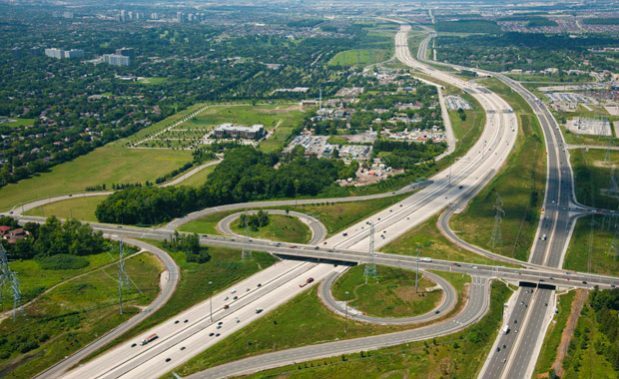 Intergraph’s Traffic Monitoring System supports field crew response times for planned highway maintenance and manages critical response, deployment and coordination of traffic incidents on highway networks. This solution integrates with critical highway infrastructure, supporting the recording of activities via closed-circuit cameras, interaction with dynamic variable message signs to ease traffic flows and real-time reporting of road weather information systems. The announcement of 407 ETR’s new traffic monitoring system comes just over a year after it implemented a geospatial solution for field asset inspection from Intergraph using Hexagon Geospatial’s GeoMedia Smart Client technology, which also fully integrates with 407 ETR’s work order management system. The underlying technology for 407 ETR’s traffic monitoring system is Intergraph’s award-winning field agent dispatch software that is used globally and primarily in the public safety industry for rapid response to emergency events. Intergraph’s Traffic Monitoring System will serve as the management system for the toll network. The 407 ETR teams of control room operators, supervisors, operational field staff and first responders will benefit from automated event updates, integrated systems with decision support and enhanced analytical capabilities. In June 2015, 407 ETR will present on the background and future plans for the traffic monitoring system at HxGN LIVE, Hexagon’s international user conference, in Las Vegas, Nevada. Intergraph is part of Hexagon (Nordic exchange: HEXA B; www.hexagon.com), a leading global provider of information technologies that drive productivity and quality across geospatial and industrial enterprise applications.